The Mooketsis buy cattle only from proven breeders. Their herd, all Bonmaras, currently consists of 187 animals, which include four stud bulls. 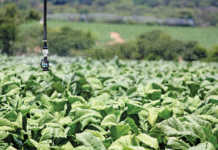 The Barui-Driehoek Co-op is a family affair, and is owned by Kabelo and Matshidiso Mooketsi, their daughter Lesego, and her husband Moses Mohlala. But it is Matshidiso who is mainly responsible for the farming concern; she has steered the operation to great success, winning a number of prizes for the co-op’s achievements in the emerging farmer category. 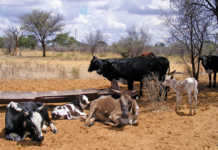 Driehoek farm (1 855ha) is situated close to Lykso village, on the road between Vryburg and Kuruman in North West. The sweetveld on the farm is typical of the area; it consists of round-leaf pioneer grasses such as burr weed (Tragus racemosus) and bristle grass (Setaria sphacelata), and climax grasses such as red grass (Themeda triandra) and bushveld dropseed (Urochloa mosambicensis). The woody component includes shrubs and trees such as the silver cluster-leaf or vaalboom (Terminalia sericea) and shepherd’s tree (Boscia albitrunca). 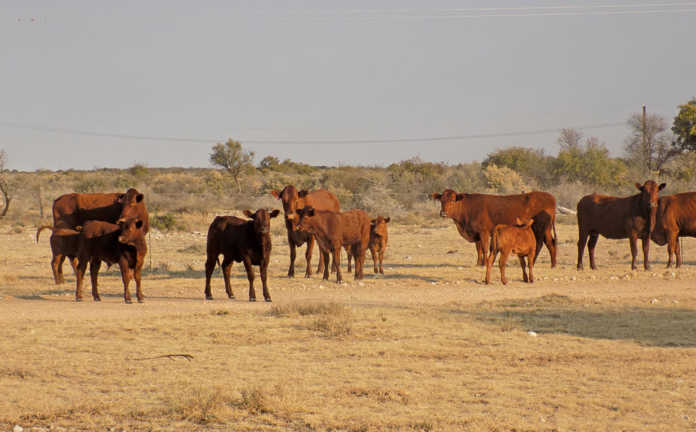 It is on this land that Matshidiso and Kabelo run their 187-strong Bonsmara herd, which includes four stud bulls, 123 breeding cows, 49 replacement heifers and 11 calves. Matshidiso calls their Bonsmaras ‘red gold’. According to her, the breed’s exceptional traits make it ideal for breeding under the harsh, extensive conditions of North West. “They have even temperaments, are hardy, and the cows are good mothers. All of this helps to increase profitability,” she says. Matshidiso previously worked at the Department of Home Affairs, and she and Kabelo later started a construction company, carrying out work for the government. 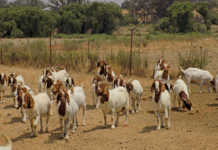 Matshidiso and Kabelo Mooketsi have found the adaptable Bonsmara the ideal breed for extensive farming conditions. Using money saved from this venture, they started farming in 2008 on a rented communal farm in the Tosca area. 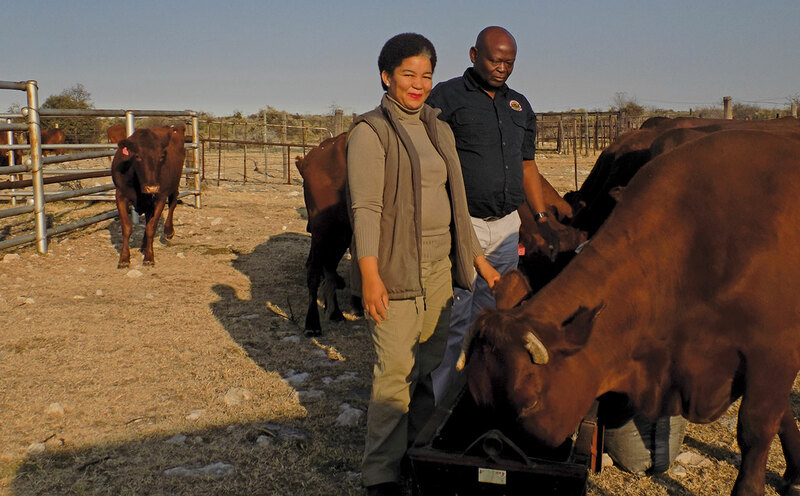 They began with a mixed breed of Nguni and Brahman cattle, and just four years later were named National ARC Emerging Beef Cattle Farmer of the Year. It was during this time that they started looking at the positive attributes of the Bonsmara, says Kabelo. Fertility, high milk production and good meat quality were some of the traits that convinced them to invest in the breed. “We bought our first Bonsmaras from Fanie Smith in the Reivilo area and Danie Klinck from Lykso,” recalls Matshidiso. Prof Jan Bonsma, the creator of the Bonsmara breed, used to say that the most important aspect of livestock production is breeding cattle adapted to a specific environment. Matshidiso is a firm believer in this adage. She says the Bonsmara, with its thick hide and sleek coat, is well adjusted to extreme temperatures and more resistant to ticks than thin-skinned, woolly-coated animals. In 2011, Matshidiso and Kabelo moved to Driehoek after acquiring the land through the Department of Land Reform and Rural Development. The farm’s homestead and facilities were in a dilapidated state when they arrived and the couple had to spend a great deal on restoration. They now live permanently on Driehoek. By 2016 they had replaced all their cattle with Bonsmaras. The farm’s carrying capacity is 1MLU/9ha, which means it can comfortably accommodate 206 mature livestock units, leaving ample room for expansion. The annual average rainfall is between 350mm and 400mm, with sub-zero temperatures in winter rising to the low 40s in summer. The farm is divided into 15 camps of about 120ha each, which are grazed in rotation. Some of the camps are rested for at least six months. This system made it possible for the Mooketsis to survive the 2012 to 2014 drought, as they had spare camps with enough grazing to see the animals through. Driehoek, which has six boreholes, is covered by Acacia bush, which is selectively cleared when it grows too dense. The farm’s goats are helpful here. The cattle are dipped and dosed every three weeks in summer, when tick prevalence is at its highest. If necessary, the animals are also dipped in winter. The cattle are vaccinated annually against diseases such as anthrax, botulism, black quarter and pasteurella. They are also vaccinated against lumpy skin, brucellosis, Rift Valley fever and rabies. Because of the devastating financial impact of brucellosis, the family always aims to vaccinate female calves aged four months and above with RB51 to protect them against the disease. “It’s also why we only acquire genetics from reputable breeders such as the G7, Proveld and Genepoel breeder groups,” adds Matshidiso. In 2017, an outbreak of rabies among livestock in the surrounding area posed a serious challenge. The Mooketsis took no chances and included the rabies vaccination in their animal health programme. Animal feed is another challenge, not least because soils in the the Lykso area are low in phosphorus. To address this problem, a phosphorus and salt lick is provided in summer and a protein lick in winter. In addition, the animals receive vitamin injections annually. The average intercalving period on Driehoek is about 280 days, and the average birthweight between 36kg and 40kg. Weaner weight is in excess of 240kg and weaner percentage is 89%. All unproductive animals, without exception, are culled. The Mooketsis insist on keeping the herd closed; only bulls certified healthy are allowed in. The couple are equally disciplined about animal recording, which Matshidiso stresses is both a management and a selection aid. In terms of the latter, it provides objective selection criteria to identify animals with superior qualities. The couple’s professionalism in this respect was recognised in 2012, when they won an award from Absa and the ARC for the high standard of their record-keeping. The prize was a fully paid trip to attend the Annual Beef Cattle Symposium in Nebraska in the US. 2017 National Gazelles Top 40. This was a great honour, says Matshidiso. The National Gazelles is a growth accelerator funded by the Small Enterprise Development Agency (Seda) and the Department of Small Business Development. The programme seeks to identify and support SMEs with potential in 10 priority industry sectors aligned with the National Development Plan and Seda’s SME strategy. 2017 ARC National Small-Scale Commercial Livestock Producer award. “This award validated our hard work and dedication to red meat production,” says Matshidiso. Despite their success with Bonsmaras, the Mooketsis have diversified their business to include layer hens, vegetables on a limited scale, and goats. They started their layer project in 2014 with 1 500 layer hens. “Before we started with our layers, we approached the Taung Department of Agriculture and Rural Development, which arranged on-farm training,” says Kabelo. They invited local potential farmers and workers to attend the classes. Seda then appointed a consultant who prepared a business plan. This was submitted to the Department of Trade and Industry, which provided a R350 000 grant and appointed a contractor to convert an existing structure into a layer house, install cages, water and feeders, and supply the birds. Phone Kabelo or Matshidiso Mooketsi on 082 356 1711, or email them at [email protected].